A real mystery! This video of Suzy Wandas (or is it?) doing some cigarette manipulation! A Fun bit of old-fashioned, and glamorous Cigarette Manipulation. Further study proved quite educational on Ms. Wandas. 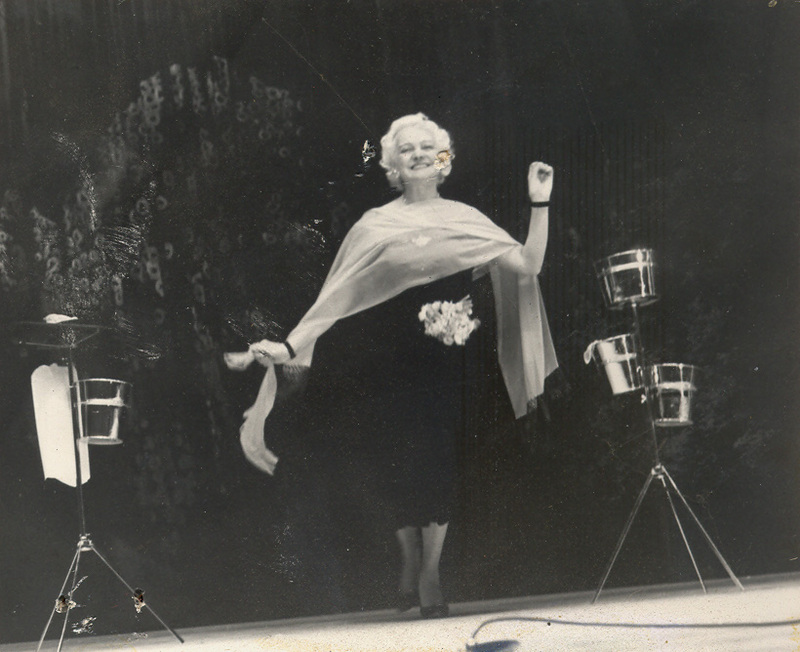 She was born in1896 in Belgium and had a really amazing career. 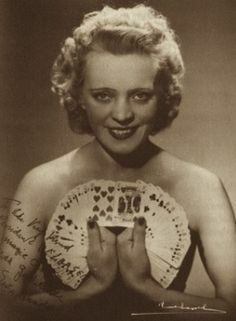 She performed her manipulative act extensively throughout Europe and America as “Suzy Wandas, the Lady with the Fairy Fingers.” She won the British Ring contest in 1952 and in 1953, she made her first American appearance at the Abbott Get-together. 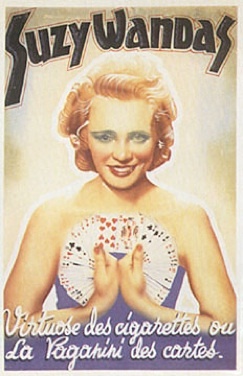 In 1981 she received a Performing Fellowship from the Academy of Magic Arts. 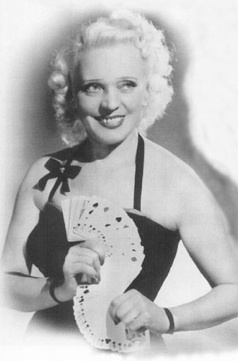 Ms. Wandas passed away in 1986 at the age of 90. My friend and superb magical historian Bernard Reid tells me that there has long been a spirited debate as to whether that Golden Haired smoker is really Wandas. Opinions seem to be divided equally in the magic world as to whether it really is Suzy. In years gone by I would just have phoned Billy McComb and he would have had an answer (right or wrong! I would still have accepted it…) Does anyone out there have an answer? I would love to know. There are far too few actual mysteries in magic and this is a good one. However, looking at photos, it sure looks like Ms. Wandas and she is performing her patented four cigarette production. If you have any info please do share it! ~ by Nick Lewin on August 30, 2018.